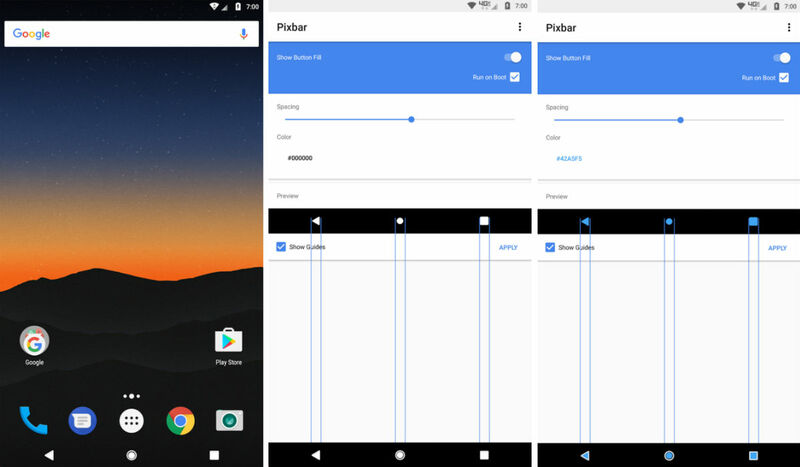 Pixbar, from the developer who brought us nowPaper, is available on Google Play for those looking to recreate the look of the Pixel’s on-screen buttons on non-Pixel devices that feature on-screen buttons. 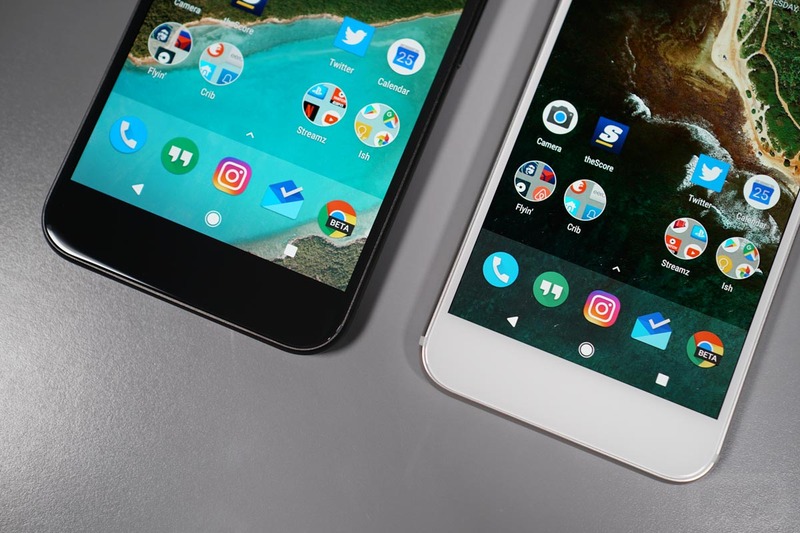 As you may notice, the on-screen buttons for the Pixel and Pixel XL are a little different from the ones you will find on other devices. Essentially, the triangle (back) and square (recent apps) are colored in, while the circle (home) is only partially shaded in. With Pixbar, you can get this same effect on almost any other device with the stock (Lollipop and above) on-screen buttons. Not only can you shade them in, but you can color them differently, too, adding more personalization to your device. For example, if you have a Nexus 6P or Nexus 5X, your buttons can look like the Pixel buttons. If you have a Moto Z, this app will work for you, too. Currently, only devices using the stock buttons will work, but the developer plans to introduce support for differing designs of on-screen buttons in the future. That includes phones such as the LG G5, HTC 10, and others. Below is a quick overview of how the app works straight from the developer. If Pixbar interests you, it can be purchased for just $0.99 on Google Play.